Culture at Work at 6-8 Scott Street Pyrmont NSW. Culture at Work's Climate Innovate Symposium 2013. 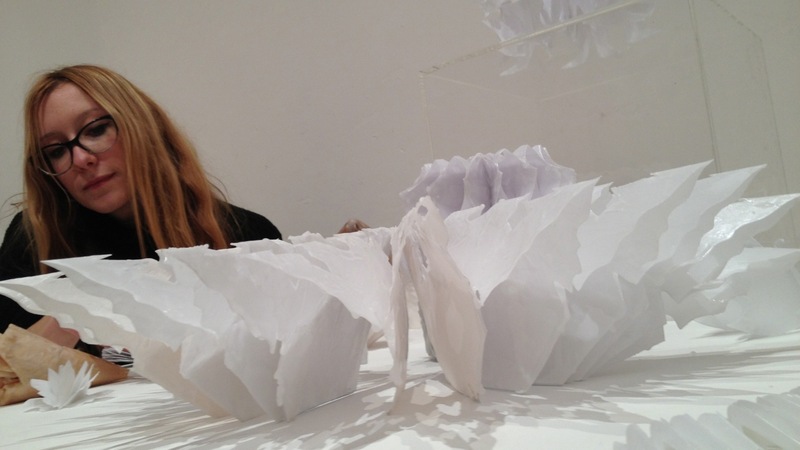 Laura Jade, White Parazoa III, Accelerator gallery, Culture at Work 2013. Launch City Schools Planet Art sustainable exhibition, art-science project, Accelerator Gallery, Culture at Work, 2013. 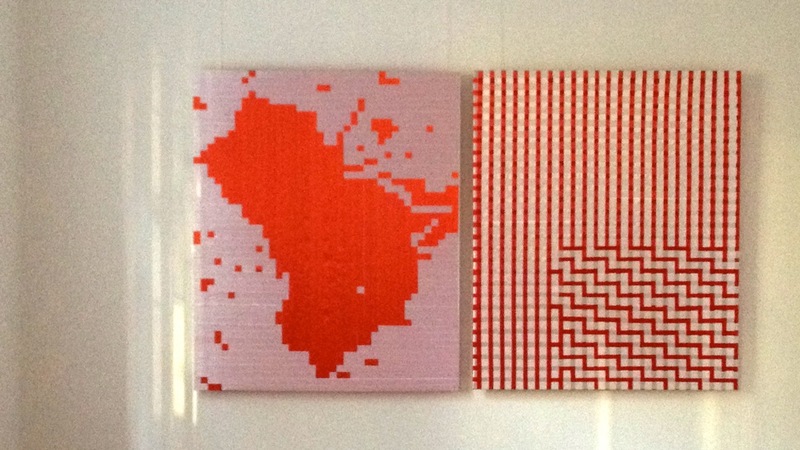 Fiona Davies, Artist-inResidence 2014, Blood on Silk, 2014 Accelerator Gallery, Culture at Work. 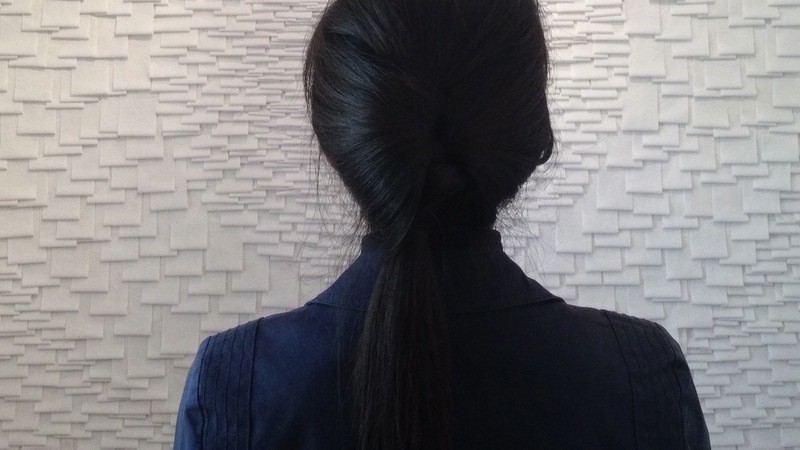 Rachel Park, Artist-in-Residence, 2013-2014 in front of I am installation, toilet paper. Accelerator Gallery March 2013. CULTURE AT WORK ® is an Artist-led Australian Research Institute. Culture at Work is an art science idea creative hub with a mission and vision to connect art and science through artists and scientists with young people through collaborations, studio residencies, exhibitions, public talks and public programs. CULTURE AT WORK ® is a ground breaking artist led initiative with a research committee of artists, scientists and educators. 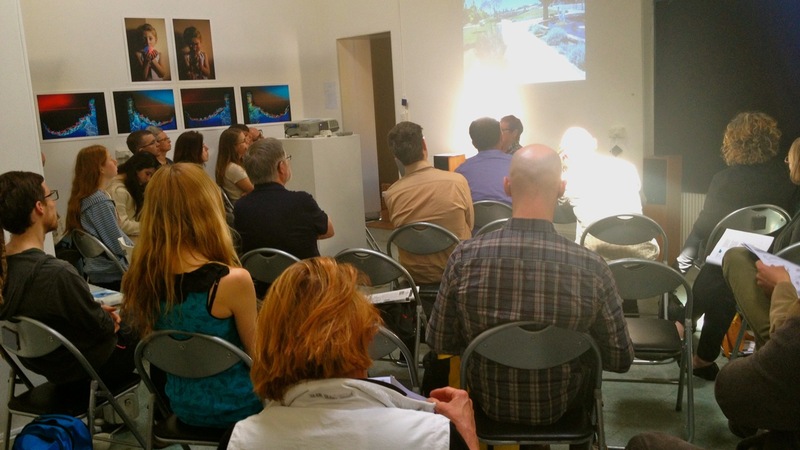 CULTURE AT WORK supports artists and researchers to innovate across disciplines and in experimental projects. 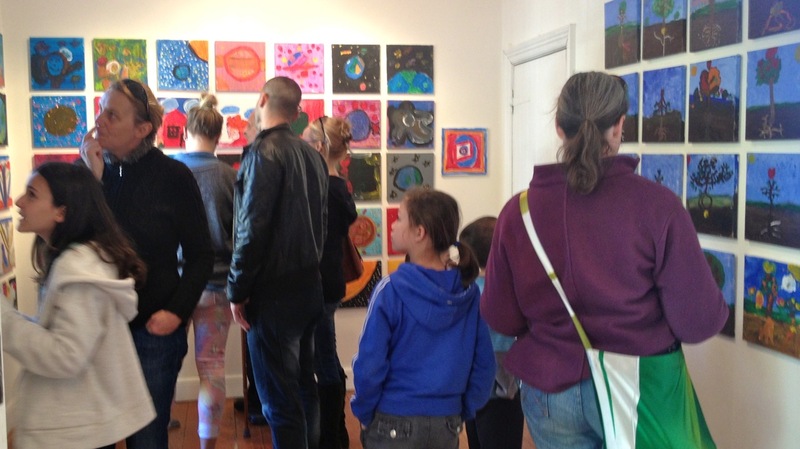 Located in the City of Sydney it also hosts exhibitions, talks, mentorship programs for talented young people and workshops. Culture at Work has a mission to inspire future generations of creative thinkers. 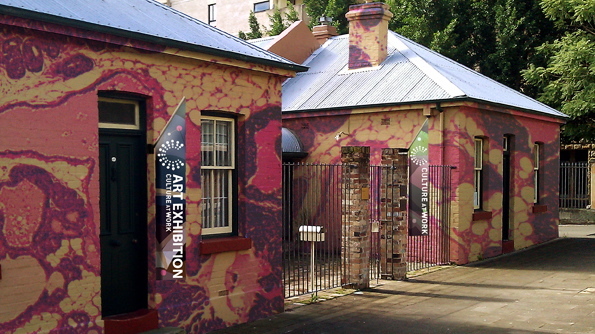 CULTURE AT WORK ® engages and collaborates with universities, local councils, art festivals, schools, health science institutes, national and regional universities and regional galleries. CULTURE AT WORK consults to museums and galleries to facilitate art science cross curriculum education programs for a range of audiences. 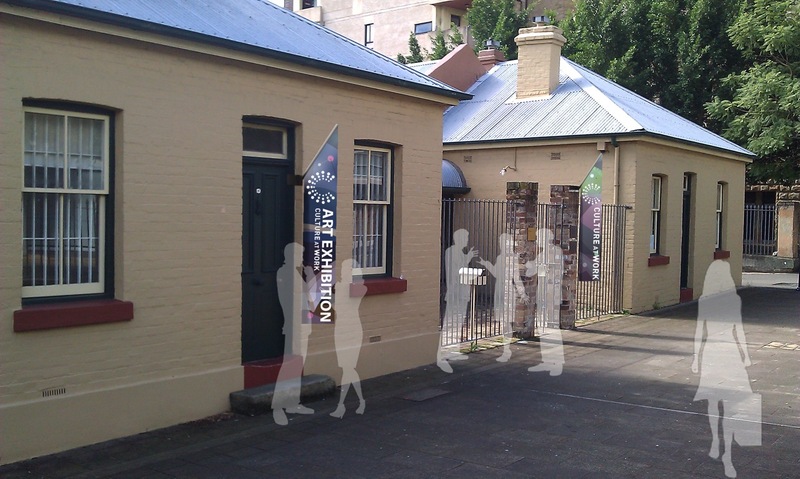 CULTURE AT WORK is housed in the historic Scott Street Terraces in Scott St Pyrmont. The building has purpose built facilities for the arts including studios, our Accelerator Gallery and workshop spaces and a large courtyard. Close to Pirrama Park, it is 300 metres from the Sydney Harbour.